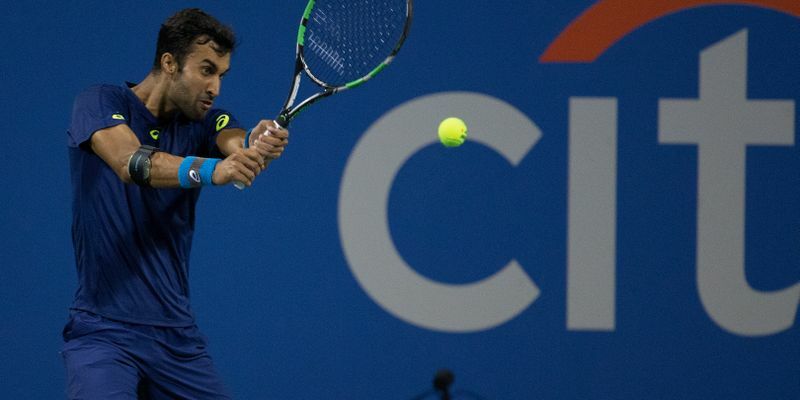 Yuki Bhambri has managed to qualify for the Miami Open main draw after beating Swiss World No. 133 Elias Ymer by a margin of 7-5, 6-2 at Key Biscayne in Florida. Bhambri, who reached the third round of the Indian Wells Open, will take on Bosnia and Herzegovina’s Miraz Basic in the first round. The Indian tennis player continued to perform well on the international circuit as for a second straight tournament in a row, he came through the qualifying round to make it to the main draw of an ATP Masters 1000 event. While he must be credited for winning, the Swiss made the game anything but easy for the Indian. The match lasted for an hour and half and it was a tough competition as both the players didn’t drop serve untill the 11th game. On the first break point opportunity, which came in the favor of the Indian, he made the most of it to create an opening. In the subsequent game, Bhambri held serve and closed out the opening set on the second time of asking. While the first half was difficult for him, there was a lesser challenge in the second set. He managed to break the Swiss player in two consecutive games to take a lead at 5-1. Although Ymer was able to save two match points, he failed to take a lead over Bhambri and the Indian closed the second set 6-2 to win the set and match. If Bhambri manages to win the first round then he will set up a second round clash with American eighth seed Jack Sock. Last week, the Indian ace delivered a brilliant performance as he reached the third round of the Indian Wells Open by beating Nicolas Mahut and Lucas Pouille before losing to Sam Querrey in a three-set match in the third round. Predict Tennis, Badminton, Cricket and more games on Nostragamus App! Predict Matches to Win UNLIMITED PayTM Cash Prizes! Over 4,000 winners daily.